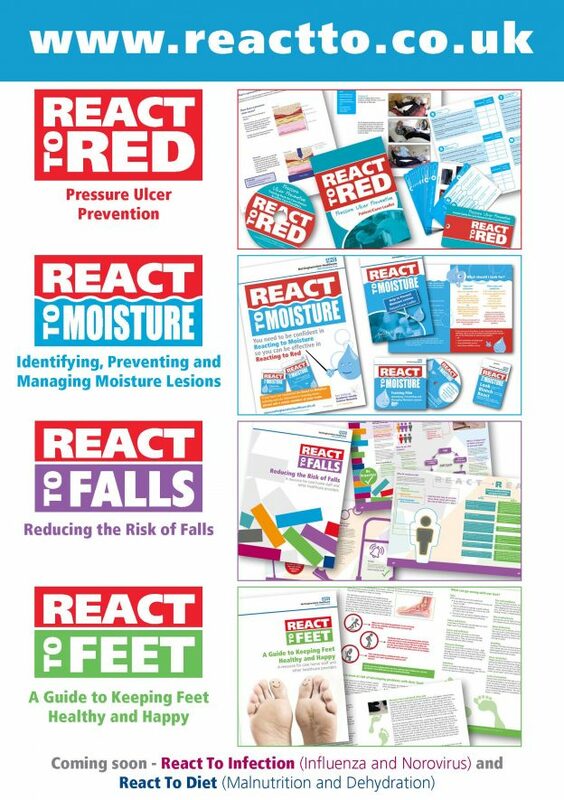 The website houses the react To series of training films and resources written by healthcare professionals and developed specifically for care home staff. It currently covers topics such as pressure ulcer prevention, moisture lesions, falls and foot care. It is a growing series of resources which will provide up-to-date evidence based practice covering key healthcare issues. More topics will be added over the next year.